What conditions does Stool Softener Capsule treat? Tell your doctor right away if this unlikely but serious side effect occurs: rectal bleeding. 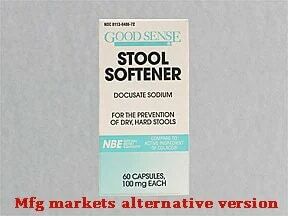 List Stool Softener Capsule side effects by likelihood and severity. If you have any of the following health problems, consult your doctor or pharmacist before using this medication: severe abdominal pain, nausea, vomiting, sudden change in bowel habits over the previous 2 weeks. This medicine is a red beige, capsule imprinted with "P 10" and "L486". This medicine is a red white, oval, capsule imprinted with "L486". 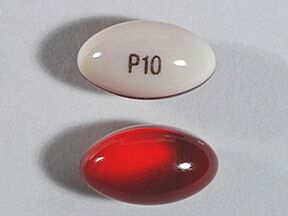 This medicine is a red white, oval, capsule imprinted with "P 10" and "L486". 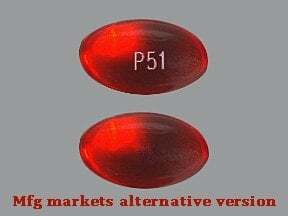 This medicine is a orange, oval, translucent, capsule imprinted with "P51". 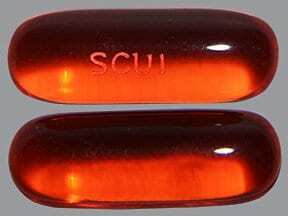 This medicine is a orange, oblong, capsule imprinted with "SCU1". 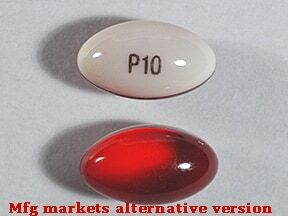 This medicine is a red white, oval, capsule imprinted with "P10". 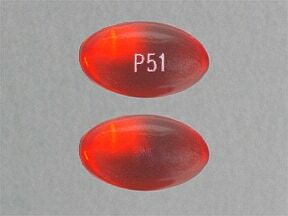 This medicine is a orange-red, oblong, capsule imprinted with "P51". 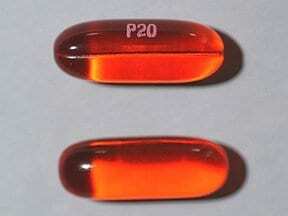 This medicine is a orange-red, oblong, translucent, capsule imprinted with "P20". 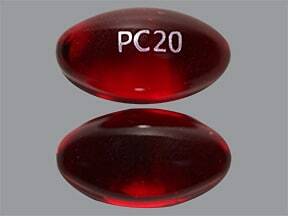 This medicine is a red, oval, capsule imprinted with "PC20". 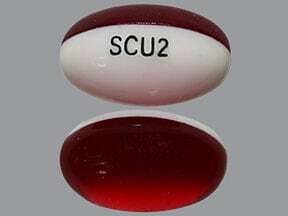 This medicine is a orange-red, oval, capsule imprinted with "scu1". 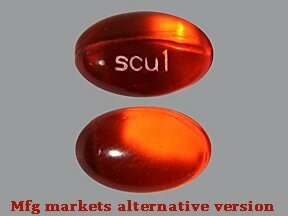 This medicine is a orange-red, oval, capsule imprinted with "S77". 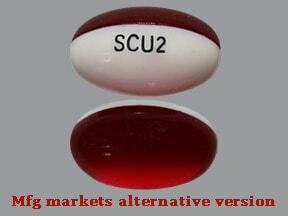 This medicine is a red white, oval, capsule imprinted with "SCU2". 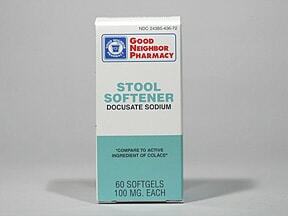 Have you ever purchased Stool Softener Capsule?